Atlantic fulfils the highest demands. 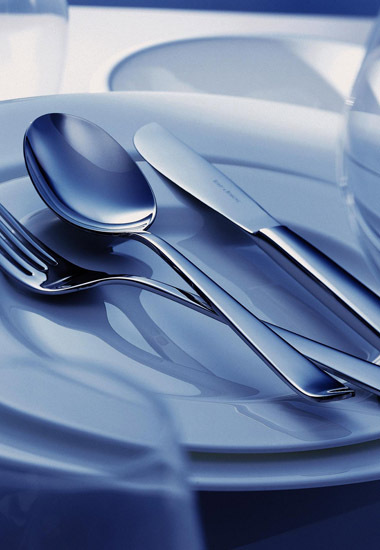 It is stainless steel cutlery from the Robbe & Berking collection, which is characterised by its interesting profile and balanced proportions, resulting in an exemplary shape. The stainless steel series Atlantic stands out due to the simplicity of its design and the elegant, matt-brushed surface. The handle ends of the cutlery collection are slightly rounded and lie optimally in your hand.